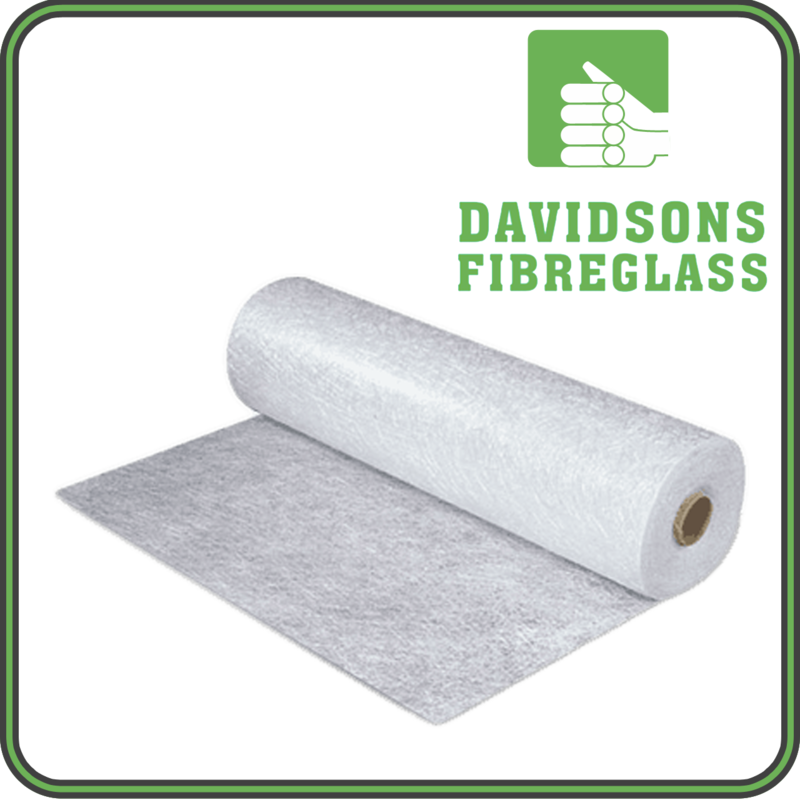 Chopped strand mat, also known as CSM, is made up of 25-50MM long fiberglass strands that are randomly oriented and typically held together with a styrene-soluble binder that acts like glue connecting the fibers. The binder is designed to dissolve upon contact with styrene in polyester resin or vinylester resin. Once dissolved, the fabric softens, allowing it to drape around curved shapes. The common weights are 300 and 450 grams per square meter and the fabric is sold per kilogram. CSM is not compatible with epoxy resin, as the binder holding the glass strands together does not dissolve, causing the mat to remain stiff. The fabric also does not wet out perfectly clear with epoxy. CSM is used as basic laminate reinforcement and for gel coat backup to minimize weave print through. CSM wets out at a ratio of 2.5 to 1, meaning it requires 2.5KG of resin for every KG of mat.